﻿Our stunning hand-cut Vilmar mosaic wall tile will make a splash in your kitchen or bath. This Rectangular Mosaic Rug of warm colors is beautifully handmade and composed of all natural stones and artistic tiles. Do you like to see how Rectangular Mosaic Rug - Vilmar looks on your wall? The mosaic arrived intact and so far we are pleased with our selection. 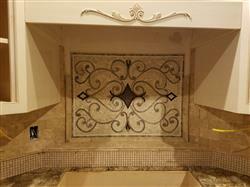 We plan on using it as a backsplash mosaic over our range top underneath the vent hood. 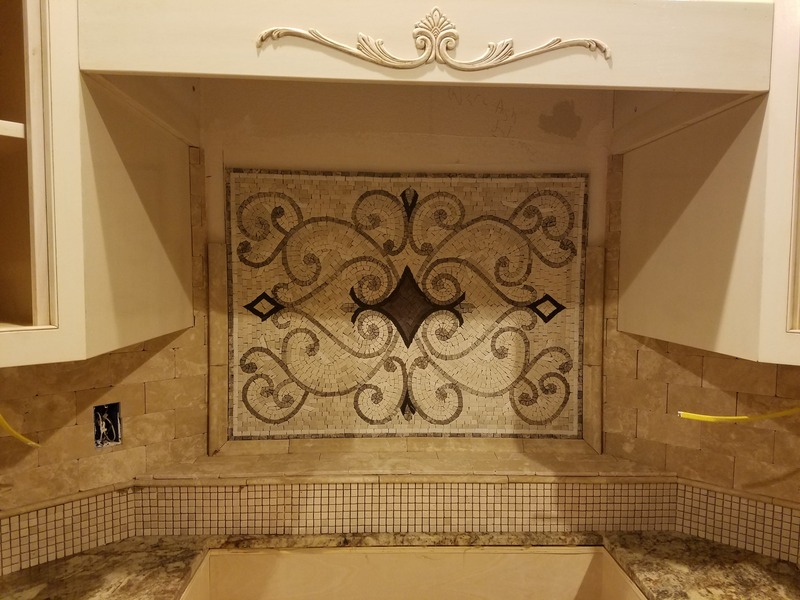 The kitchen is being remodeled and as of yet the mosaic has not been installed, So far I will pass judgement until the job is completed, but it definitely looks like what we expected it to be and we have no complaints. One might be skeptical by the cost of some of these items from this company. This item shipped out of Beirut Lebanon also! and in receiving the item I got what they pay for. Mozaico provided the item expediently and intact. Looks fantasitc! Received it it time for our contractor to apply, that was 1 week from purchase. Project is almost complete. Love love love it!! Beautiful design and great customer service. Highly recommend to anyone.